For those rooms which will be involved in the remodeling, pack up any non-essential materials, and take out those items which you do expect to use. For instance, in a kitchen remodeling, you might want to leave out coffee cups, dinnerware, and utensils. The rest should be temporarily stowed away somewhere. Make sure that home security systems are up and running during the renovation project. 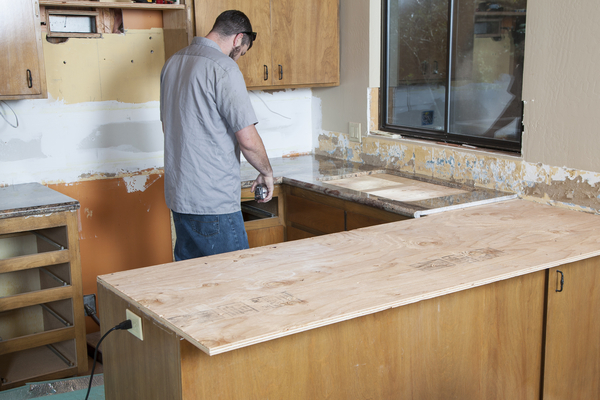 Even if everyone on your remodeling team is trustworthy, it’s possible that unscrupulous individuals have noticed the chaos and increased traffic, and may try to take advantage of that. If you can find some rolling storage carts, these can be very handy for moving things from room to room when necessary to keep important items available, without having to store them in a single location which might have limited accessibility. If your pets are easily excitable, it might be best to have them stay with friends during the remodeling, because they will undoubtedly become fairly stressed about the increased activity, and all the strangers running about the house. To avoid safety issues with power equipment which might be in use, it would be best to establish outdoor safety zones, which you can develop with the cooperation of your remodeling team. This might involve keeping all equipment in a fenced-off area, along with anything that might present a safety issue. It’s very possible that during the renovation period, you might need to shower somewhere else, or you might need a friend’s help in some way. Alert your friends about the renovation effort, and tell them you may need to call upon them for some kind of assistance while it’s underway. You may want to protect your HVAC systems while work is underway, because you won’t want extra dust and debris falling into your heating or cooling system. This could cause operational difficulties and could shorten the life of your HVAC system. An East Bay air conditioning serviceperson can help you determine these details. You may have to plan for early showers during renovation, or you may have to setup privacy screens if you intend to lounge about in your pajamas. Think about your personal habits, and setup whatever privacy standards you may need. Anything that is considered essential for normal home life may have to be gathered up in a centralized location. Once remodeling starts, it is often difficult to locate those items, so if they’re stored in a central location, life will be a bit easier. If you’re in need of East Bay building contractor, the company you should contact is B.A. Morrison, a premier Bay Area construction contractor in the region. For any questions you may have or if you’d like a free quote on HVAC services, please contact us HERE for prompt service and attention. Get your home ready for a successful remodel!